Seasoned Firewood – Michael Serio Inc. There is nothing like the smell of a wood burning stove keeping a house cozy and warm on a cold winter day. 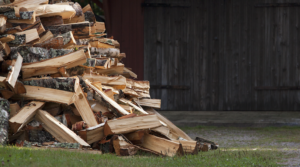 This wonderful smell is inherently reliant on properly seasoned firewood, to ensure an efficient and long lasting fire throughout the long winter night. Our team will set-up a delivery schedule with you to ensure that you are adequately prepared for any storm the long winter might bring!